Different situations have different solutions, see the detail and solutions given below about how to recover deleted text messages from iPhone 4S to check a way suitable for you. If you have a recent iTunes backup, you can restore the iPhone from the backup. Step 2: Disable your iPhone from syncing automatically before connecting your device with your computer. On a PC, click "Edit," then "Settings." In the window that opens, choose "Devices," and check the box "Prevent iPods, iPhones, and iPads from syncing automatically." Step 3: Plug your iPhone into your computer using the USB cord. Step 4: Right click your iPhone in the devices list, and click "Restore from Backup." Step 5: Click the backup in which the text is saved, highlight it and click the "OK" button to retrieve deleted text messages from iPhone. Do not have a backup? iPhone Data Recovery program is recommended! iPhone Data Recovery allows users to restore iPhone sms from both iOS device (recently supports iPhone 5, iPhone 4S, iPhone 4 and iPhone 3GS) and iTunes backup (supports all iOS devices). 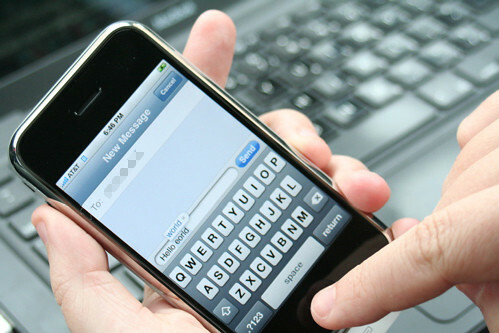 Now, let's us to see how to recover deleted text messages on iPhone with this iPhone SMS Recovery program easily. First of all, download iPhone data recovery tool and connect your iPhone to the computer and run the program after installing it. After that, you'll get a message saying that you've successfully entered the system, and the software begins scanning your iPhone. If you use iPhone 5/4S, you'll see this scanning window immediately after clicking the "Start Scan" button. When the scan finishes, all found data will be listed in clear, organized categories. Choose "Messages" to preview the detailed content. Mark those you want and click "Recover" to save them on your compute with one click. Not only this software help for iPhone text message recovery, you also can use this software to recover iPhone notes, contacts, photos, video and more, if you have such a need.